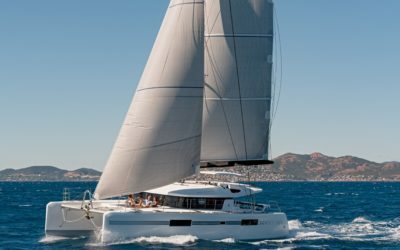 A division of the illustrious Beneteau Group, the French brand Lagoon is the world’s number one catamaran manufacturer. 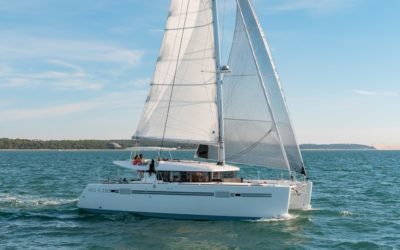 Lagoon’s catamaran models have clinched several key awards from the industry, including that of the British Yachting Awards’ Multihull of the Year in 2018 for the Lagoon 50, and a nomination for SAIL magazine’s Best Boats 2019 for the Lagoon 40 and the Lagoon 50. Lagoon’s dominance in the world market is well-earned. 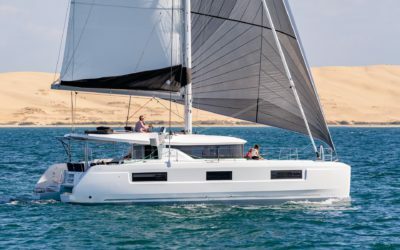 For over three decades, the company has perfected the art of crafting catamaran models, a type of boat well-known for its stability and ease of use. 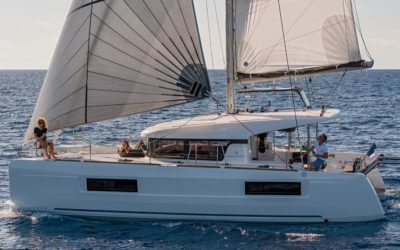 Lagoon affords keen attention to detail, creativity, and industrial rigor to the boatmaking process, and boats bearing the brand’s signature are seaworthy, safe, and accommodating of laid-back passenger lifestyles. 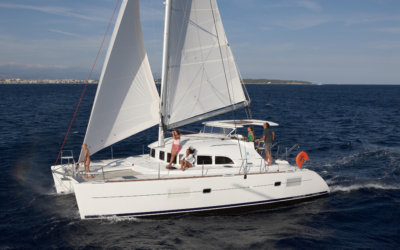 But in particular, Lagoon catamaran cruises are best enjoyed by families. 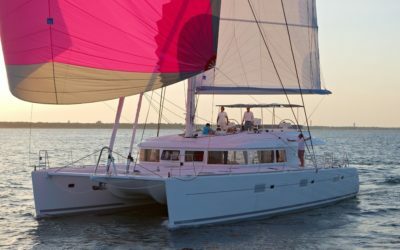 The exceptionally smooth and stable ride quality, paired with spacious legroom and fully-furnished living quarters, make this type of boat the ultimate “live-aboard” option for passengers of all ages. 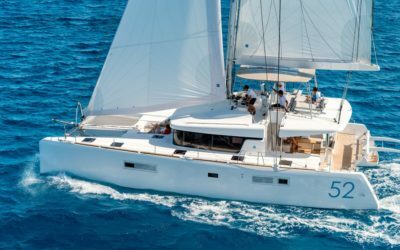 There’s been an age-old debate going on among yachting fans about the merits of sailing yachts vs. motor yachts. There’s no hard and fast answer as to which of the two is better; it all depends on the goals, preferences, and adventure profiles of the would-be sailors. 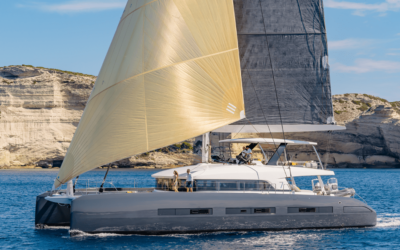 People typically gravitate toward a sailing yacht because it is eco-friendly, provides a sense of unspoiled luxury, and offers a sense of thrill from navigating a sailing yacht independently. 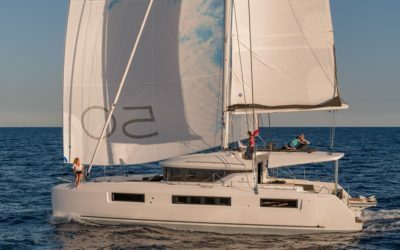 Your family members will feel closer to the elements through the unified interior design of the sailing catamaran. Their every need will be provided for while staying in the yacht’s living quarters, which include fully furnished galleys, bedrooms, bathrooms, and open cockpits. Outside, you may lounge on the flybridge, enjoy the ocean’s natural breeze, and watch the day turn from sunny to dark, with a full and breathtaking view of the stars. 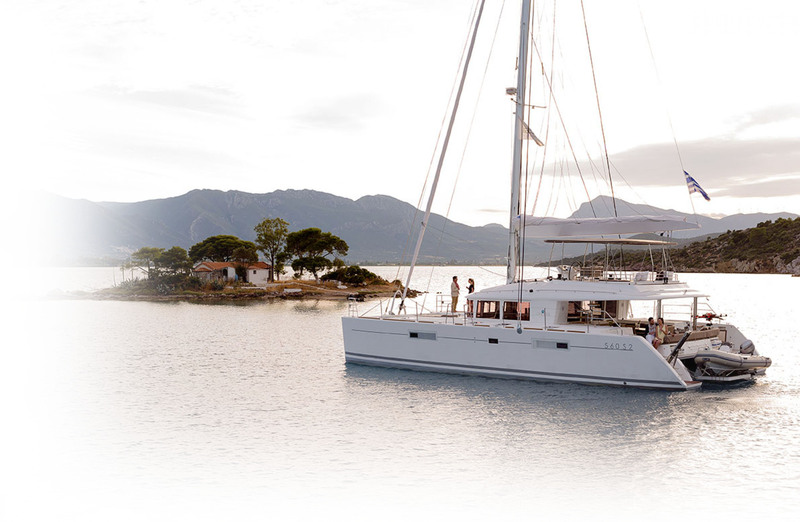 Leave it to the sailing yacht models from Lagoon to indulge everyone in the richness of nature. 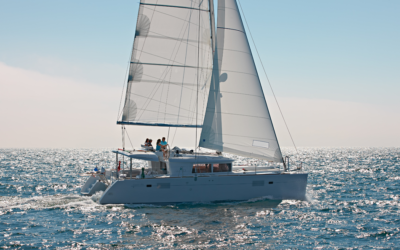 Eager to set sail on a watercraft made by the world’s number one catamaran manufacturer? 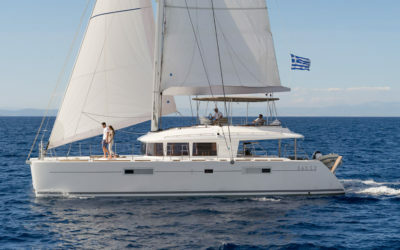 Now’s the best time to get in touch with Europa Yachts, the Philippines’ exclusive representative of Lagoon catamarans. We also offer aftersales support for all boats, including maintenance services, upgrades, and brokerage for secondhand watercrafts. 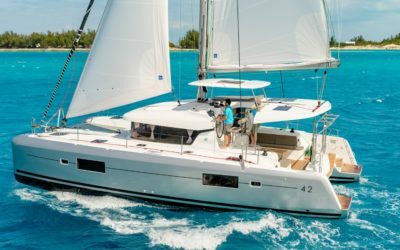 Get in touch with us by calling (+632) 553-2027 or (+639176570045), or email (info@europayachts.net) to rent one of Lagoon’s gorgeous sailing catamarans.